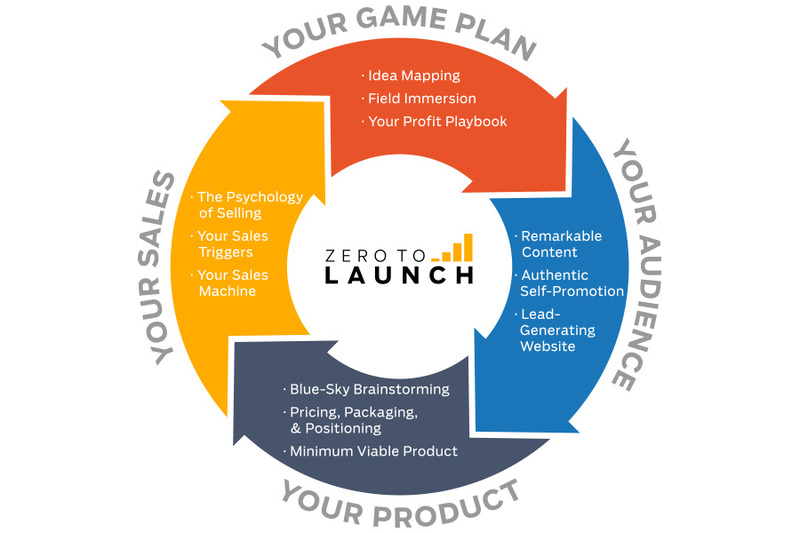 Fresh off launching the "I Will Teach You to Be Rich" rebrand, Ramit Sethi was eager to deploy his latest and greatest—Zero to Launch. The diligent, step-by-step formula that details how to launch a successful online business required a heavy load of design and Creative. The following is a small sample; from identity and brand development, to website and U/X systems, presentation decks, modules, worksheets, transcripts, videos, animation and supplementing graphics and charts. Work completed at Majorminor, in collaboration with Rob Martin.